Once again, Caring for the Kids of Kenya (USA) has assisted IDP children in by outfitting Manjani Mingi Primary School in Rongai with 82 new desks earlier this month. 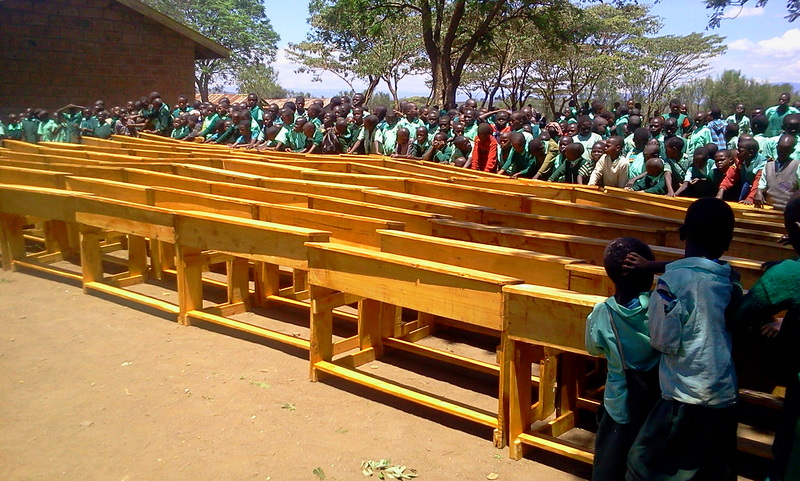 The desks will serve the 246 children in attendance where they can now sit comfortably at 3 children per desk. To date, VICDA partners have donated close to 400 desks to school children at Manjani Mingi and have thus assisted in their education. Previous Post Thank you to Sister Fund & Caring for Kids of Kenya!